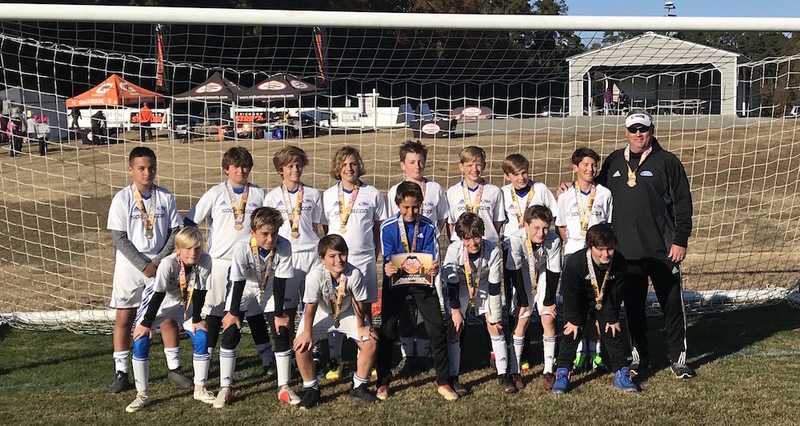 Henrico, Va. – In a weekend preceded by torrential rains, the Virginia Rush 06 Nero stormed through Richmond to win the Boys U-13 Classic Division of the 2018 Capital Fall Classic. 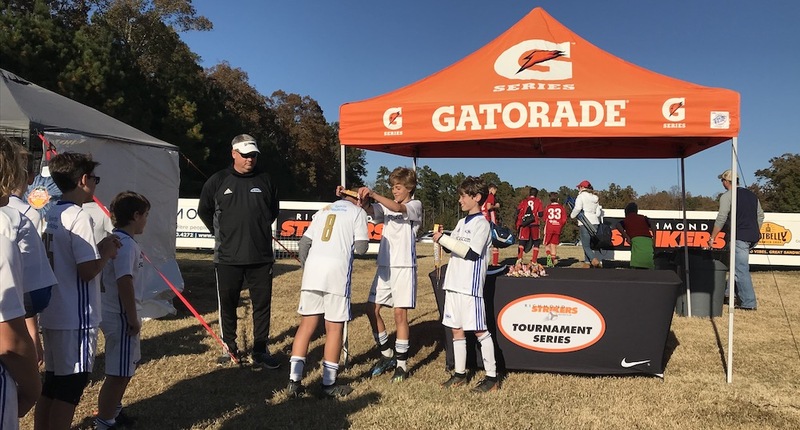 The Rush enjoyed a goal-laden Sunday with a 10-0 semifinal victory before putting an emphatic exclamation point on the weekend with a 6-1 victory over the Richmond Kickers U13 B Central Dynamo 06. In its four games, the Virginia Beach side scored 23 goals and conceded just four. The goal-fest and silverware was a timely tonic for a side that was literally limping into its last tournament of the fall season. Beaty was especially happy with the way his team moved the ball throughout the tournament and things finally clicked in front of goal in a big way. The Rush continued that trend in the final, taking the lead just two-minutes in when Bryce Luttrell waltzed through the Richmond back-line before calmly dispatching his shot beyond the Striker’s goalkeeper. Caleb Cartwright grabbed a second soon after as he was the recipient of a good run to the end-line followed by a lovely pull back. Take nothing away from Cartwright though, he got himself in the right position and made no mistake with a confident finish. The Rush tacked on a third just after the re-start but were quickly pegged back. All hopes of a Richmond revival were quickly quashed, however, as a ruthless Rush side tacked on three more goals to ensure the title was heading to Tidewater. For Beaty, it was just rewards for a group of youngsters who dealt well with adversity all season long. Before the final match in the Capital Fall Classic, Beaty was hoping his side would end the season on a high-note and be rewarded for its resiliency and perseverance. The players delivered in spectacular fashion, granting Beaty his wish.